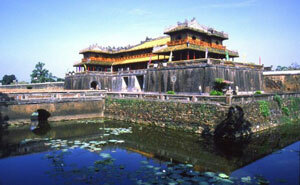 Vietnam is one of the countries we specialize in and have an abundance of first hand knowledge of. With seemingly limitless travel options including Halong Bay cruises, tribal village experiences in Sapa Valley, and beautiful beaches along the coast, Vietnam is the perfect destination for those looking to experience several aspects of a country in a limited amount of time. Here are a few Vietnam tips from our travel experts. The weather is very different in the north, south, and central areas. The north and south have opposing monsoon seasons, making it difficult to coordinate your Vietnam tours with ideal weather conditions in all the different regions. However, this means there is never a bad time to visit Vietnam, as one region is always enjoying great weather. The north is the coolest part of the country. Winter, lasting from November to January, can be cool, particularly in the mountain regions. Be prepared for cold temperatures if you are visiting Sapa. Hanoi, as well as the coastal regions including Halong Bay, experience humidity year round and a rainy season from May to October. The ideal time to visit the north is from November to April, though it can be quite cool in the height of winter. The central coast has warm weather from July to October and wet, cooler weather from November to May. Typhoons can hit the coast during the summer, from July to November. The south is hot and humid year round. Temperatures range from 70°F to 90°F and summers are very hot, humid, and rainy. 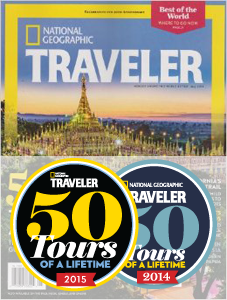 What’s a good amount of time to spend in Vietnam? Two weeks is an ideal amount of time for Vietnam tours, allowing you time to see the north, south, and central regions, as well as spend a couple days relaxing on the beach. If you are going to focus just on the north or just on the south, 7-10 days is a sufficient amount of time. 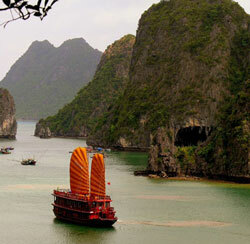 What are the popular destinations in Vietnam? Most people traveling to Vietnam start in the north and then head south, or vice versa. The most popular destinations that you may want to include in your itinerary are Hanoi, Halong Bay, and if you have the time and are interested in hiking or experiencing the culture of tribal villages you will want to go up to the hills of Sapa. Heading south from that region, you may want to go to Hue, which is a very important historical city, and Hoi An, which is a laid back fishing village. Moving further south, Ho Chi Mihn city is great to visit, and there are a couple of beach destinations around that area as well. 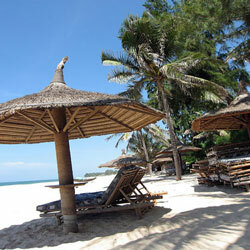 Selecting the best destinations to visit in Vietnam all depends on your preferences and travel goals. The best way to travel around Vietnam is by plane, especially if you are trying to fit in several destinations within a limited time frame. There is also a great train system, which is very comfortable, but we recommend it only if you have a longer time to travel. Why is Vietnam a recommended destination? It is highly recommended to travel to Vietnam for several reasons. There is so much to see and do, which is accessible within a limited amount of time. You can explore the mountains, beaches, and the unique culture on a 2 week vacation. Also, compared to its neighboring country, Thailand, which is a very popular tourist destination, we feel Vietnam offers a little more authenticity and charm. Of course this is dependent on the areas you visit. Vietnam is a very beautiful country with very beautiful people. To further prepare for Vietnam eco tours read our Know Before You Go: Vietnam blog for tips on cultural etiquette and social norms. Call us at (866) 577-2462 or submit the custom tour form to request a FREE quote!